Currently it costs $725 to become a U.S. citizen through the naturalization process (for most applicants). When filing Form N-400, Application for Naturalization, you must pay two separate fees: an application fee and a biometric services fee. The N-400 application fee is $640, and the biometric services fee is $85. We recommend that you submit the fee as one single payment of $725. This does not include any fees that you may optionally choose to pay for someone to help you prepare your application. You may pay U.S. Citizenship and Immigration Services (USCIS) by check, money order, credit card, or debit card. USCIS does not require applicants 75 years of age and older to pay biometrics fee. Applicants age 75 or older may submit a total payment of $640. Applicants applying on the basis of military service (under section 328 or 329 of the INA) are exempt from both fees. No filing fee is required. Those making payments by check should note that USCIS will convert the payment into an electronic funds transfer (EFT). In other words, they will electronically debit your account. For additional information about paying N-400 fees by credit card or debit card, visit USCIS. Your household income is at or below the 150% of the poverty level at the time you file. Check the current poverty levels for this year at: Form I-912P, HHS Poverty Guidelines for Fee Waiver Requests. The complete details are on the USCIS Fee Waiver web page. There’s also a partial fee waiver if your documented annual household income is greater than 150 percent but not more than 200 percent of the Federal Poverty Guidelines at the time you file. 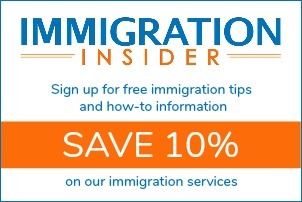 If you may qualify, you can learn more about Form I-942, Request for Reduced Fee. 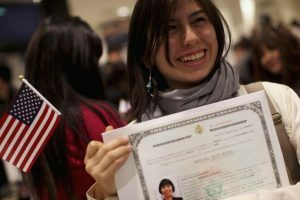 How much does it cost not to become a U.S. citizen? CitizenPath created a Citizenship Cost Calculator that compares the costs of becoming a U.S. citizen with the cost of remaining a permanent resident. USCIS requires permanent residents to renew green cards every 10 years at a cost of $540 for each occurrence. You must pay the same fee to replace a green card if it’s lost or stolen. These fees become extraordinarily expensive over a life time. Check your costs. CitizenPath offers numerous resources to help you through the naturalization process. Start by reviewing the requirements to become a U.S. citizen. We also offer a low-cost service to help applicants prepare Form N-400. CitizenPath allows users to try the service for free and provides a 100% money-back guarantee that USCIS will accept the application or petition. Try it now.